Make your own Valentine’s this year with the new fabric collection by Cosmo Cricket, Chemistry. Perfect for Teacher gifts, family, and friends! 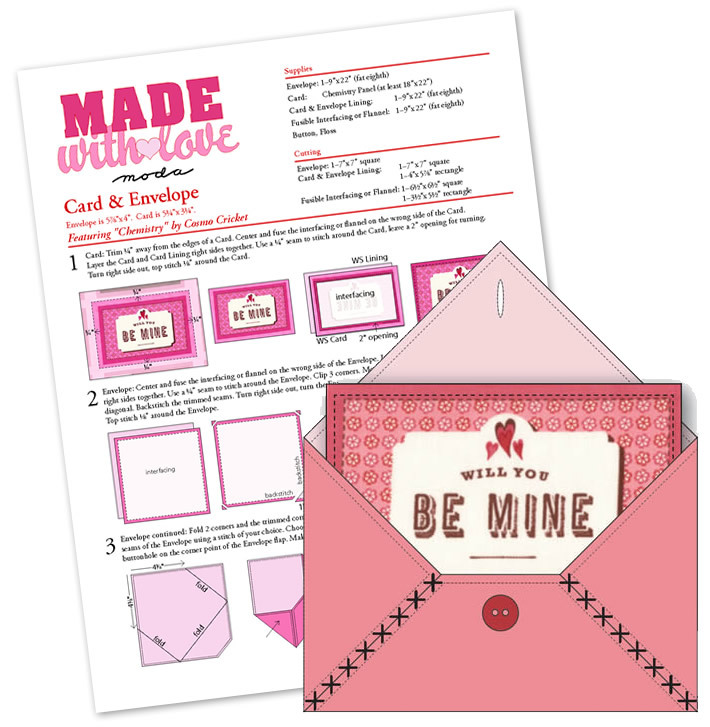 Get your kids involved and have them help make their own Valentine’s for their teacher’s and friends. Click on Fun Stuff, Free Patterns for Quilting, Sewing and Charm Patterns that are Fast… Fun… and FREE!